Whether it is at one of our sites or at our head office, all staff aim to deliver a high quality service to our customers and stakeholders. 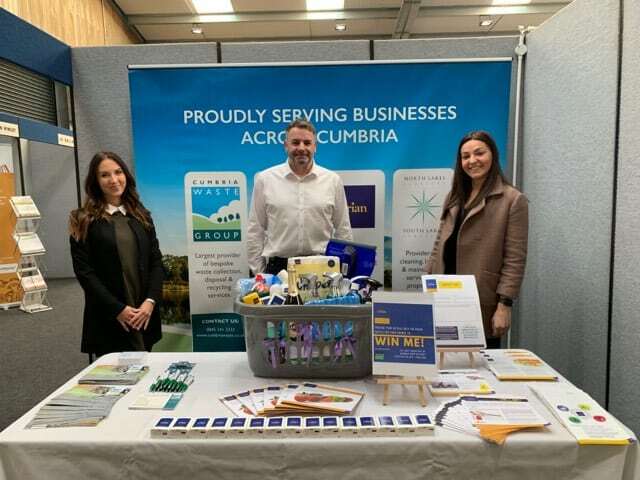 Our people are key to our success being the face and heartbeat of Cumbria Waste Group. We offer excellent working conditions and have a working environment that enables our people to realise their full potential within roles that are challenging yet rewarding. Our network of staff representatives together with other initiatives such as our good ideas scheme which encourages staff to come up with suggestions for further organisational improvement, enable us to involve our employees as much as possible. We strive me be an employer of choice and to offer exciting job opportunities for local people. 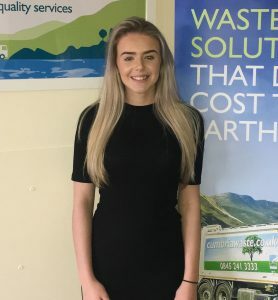 I work as a Sales Administration Apprentice within the Recycling division. My main responsibility is to process sales quotations. This involves dealing with new business enquiries, answering the phone, managing sales emails and providing general admin support to the sales team. I also spend time with other departments to help me get a better understanding of their roles and how each team works together. I like that each day is different. I get to speak to new people and learn new tasks which gives each day a lot of variety. The team I work with are supportive and are keen to help me progress. Working alongside my day-release studying is working well. It allows me to relate my study units to my daily tasks. I have a personal development plan that was created specifically for my role and this allows me to set myself targets relating to my role and coursework.